It’s almost Cinco de Mayo and let’s be honest, I love an excuse to put together a good theme menu 💃. 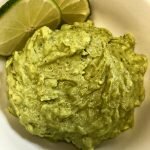 Today I am so excited to share (in my opinion) the Best Guacamole and a recipe for Baked Tortilla Chips. 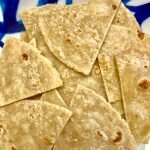 Let’s call the chips pseudo homemade 🙂 But in all seriousness, these recipes are super easy to pull together for any occasion…or craving! 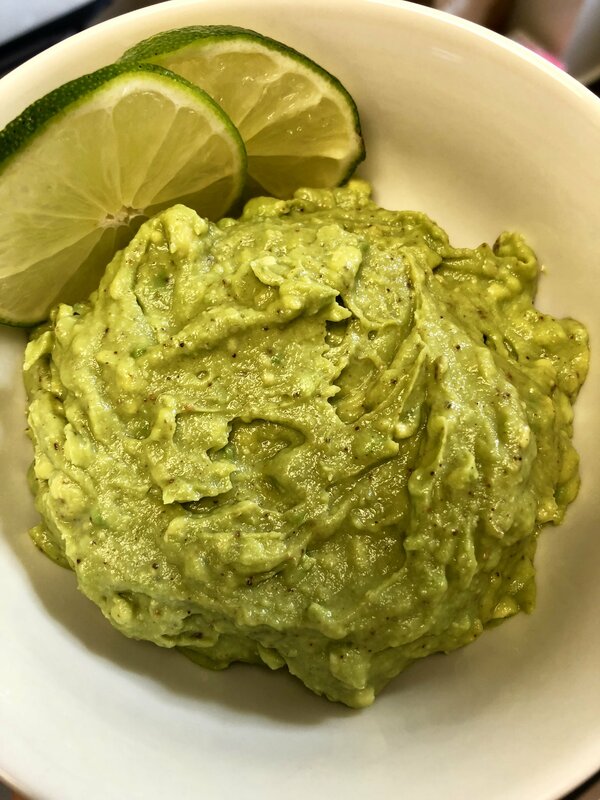 The guacamole is mild because I’m a wimp, and it’s also cilantro-less. I don’t know about you, but cilantro is not my thing, and if I ever use it, it’s sparingly at best! 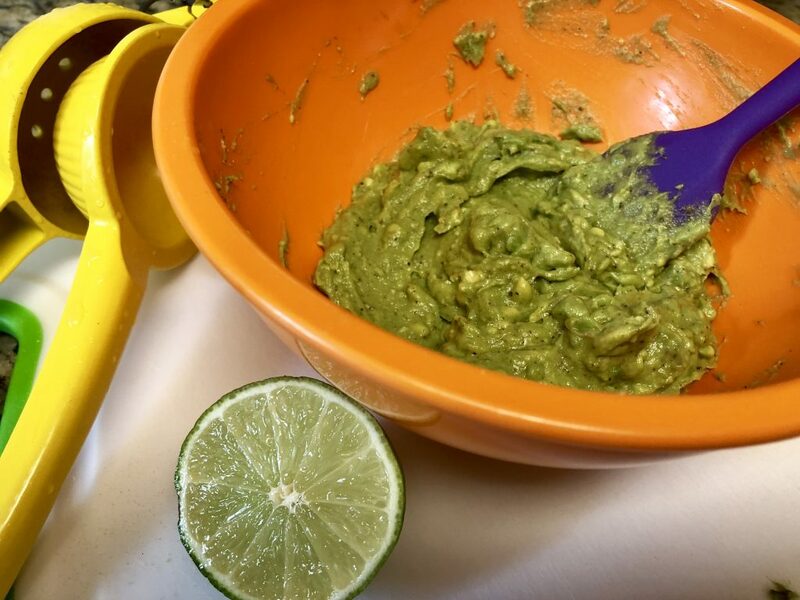 Let’s start with the Guacamole! 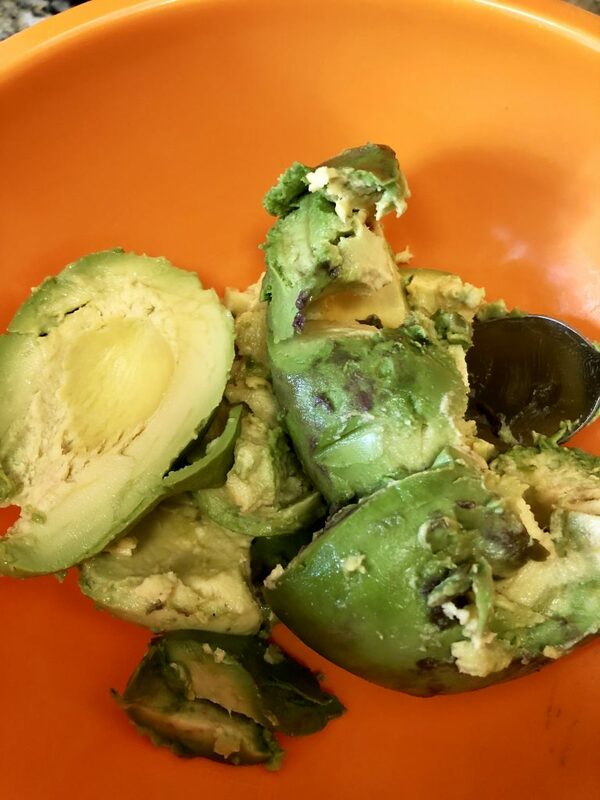 Cut the avocados in half, remove the pit, and scoop the flesh into a small mixing bowl. 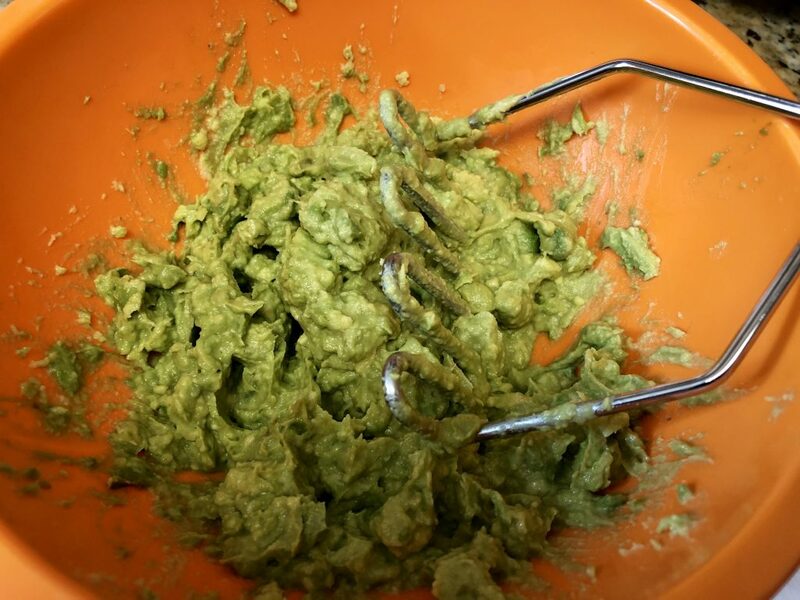 Mash the avocado flesh using a masher or fork. 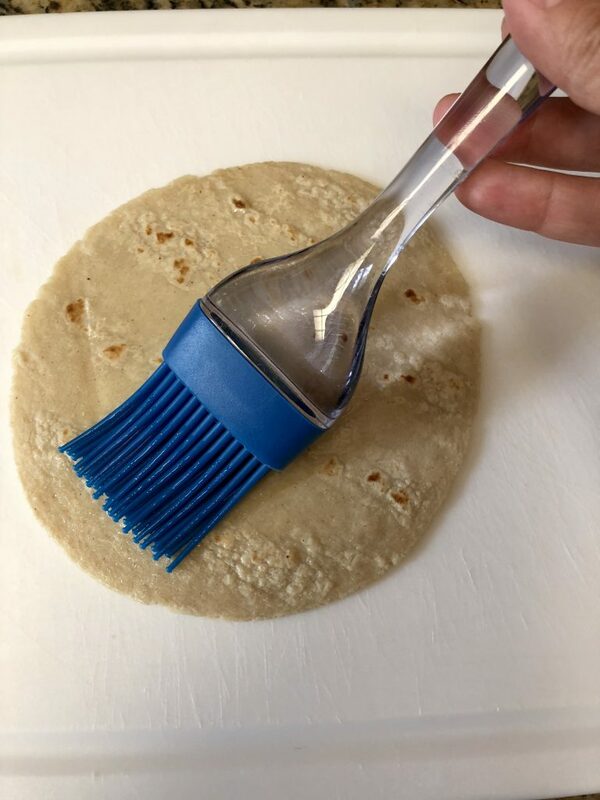 Add remaining ingredients and combine with a rubber spatula. Adjust seasonings to taste. 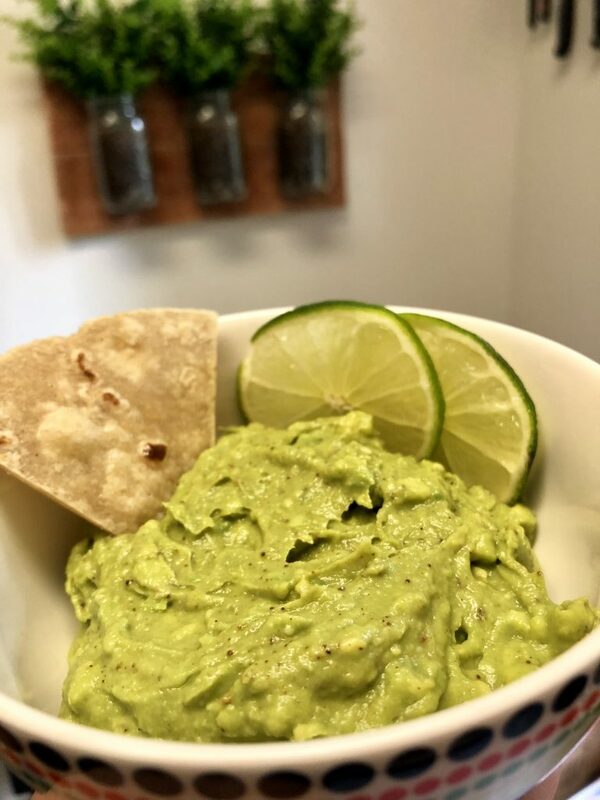 Don’t forget to think about how salty the chip/cracker is that the guacamole is being served with! Adjust seasonings to taste. 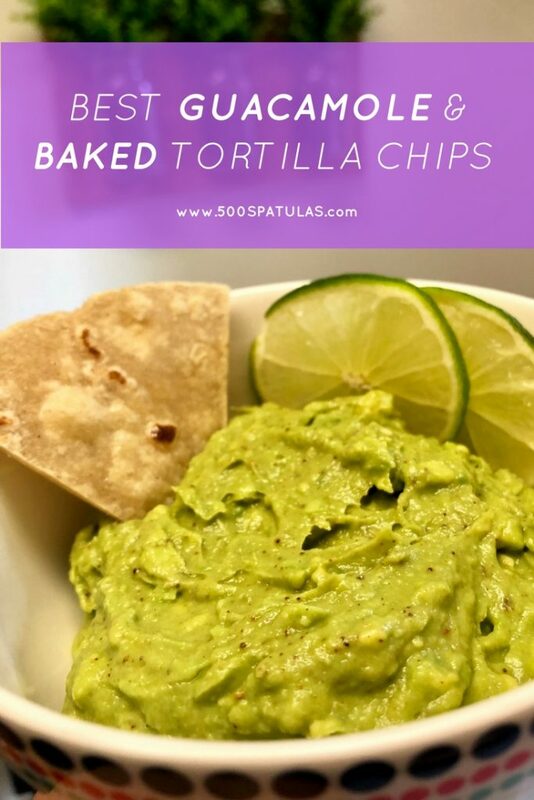 Don't forget to think about how salty the chip/cracker is that the guacamole is being served with. 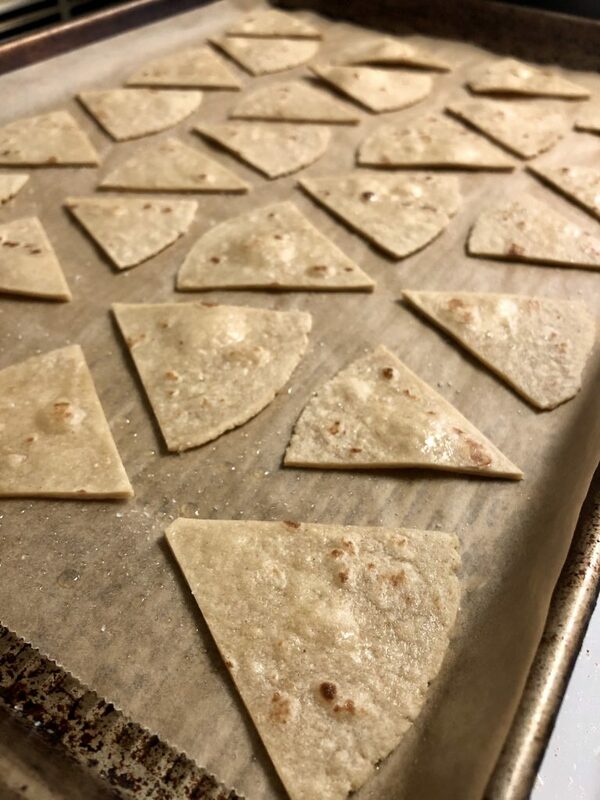 Now, onto the Baked Tortilla Chips! 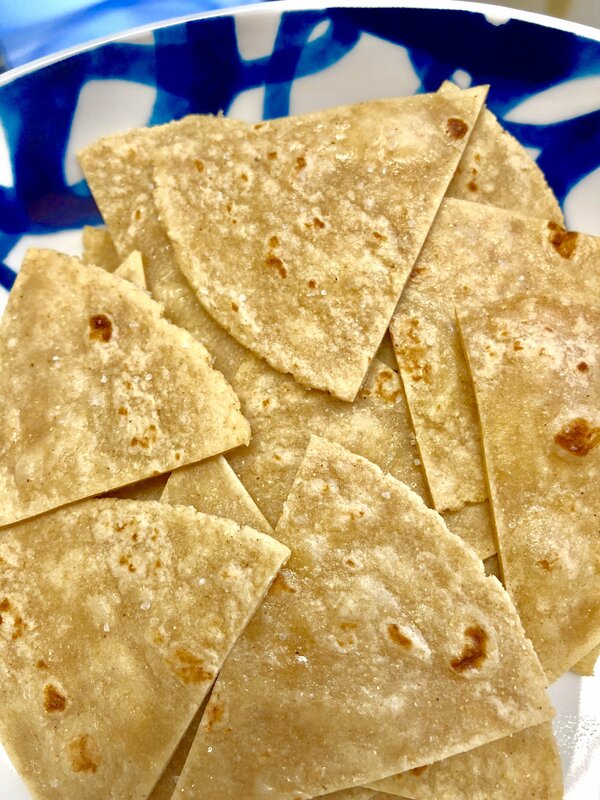 These are home-finished, not quite fully homemade, but they are still way more satisfying than ripping open a bag of Tostitos. Preheat the oven to 350 degrees. Line a sheet pan with parchment paper and either spray it with cooking spray, or brush it with some of the oil. 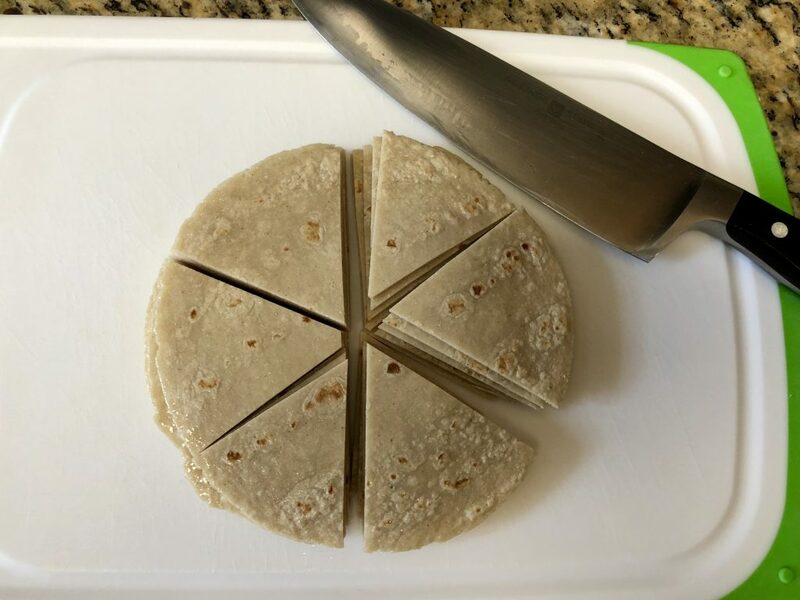 Place one tortilla on a work surface. Brush the top with oil. You don’t need a lot! Place the next tortilla directly on top of the first tortilla and brush the top with oil. Repeat with all the remaining tortillas. You will have a bit of a tortilla tower! Once they are all stacked, brush the sides. 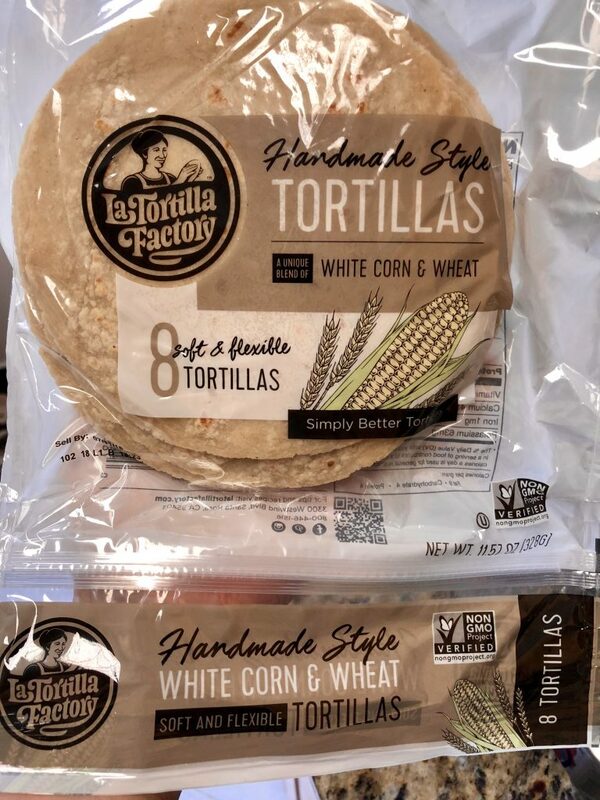 Keeping the tortillas stacked, cut into wedges. Move the wedges onto the prepared baking sheet, slightly spacing the chips to allow for each one to crispy up. Sprinkle with salt. Bake for 10 – 15 minutes or until slightly brown and mostly crispy. The chips will continue to crisp up as they cool. Store the cooled chips in a ziploc bag at room temperature. Preheat oven to 350 degrees. Line a sheet pan with parchment paper and either spray it with cooking spray, or brush it with some of the oil. 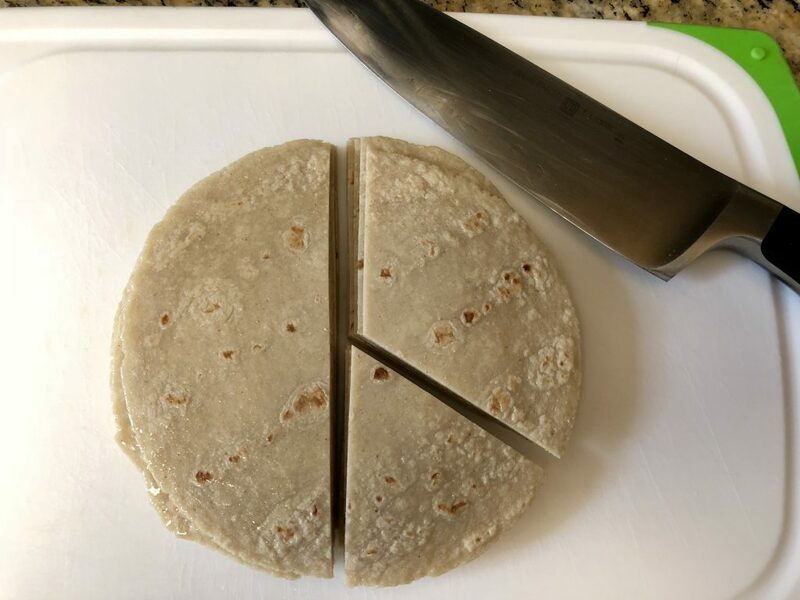 Place one tortilla on a work surface. Brush the top with oil. You do not need a lot! 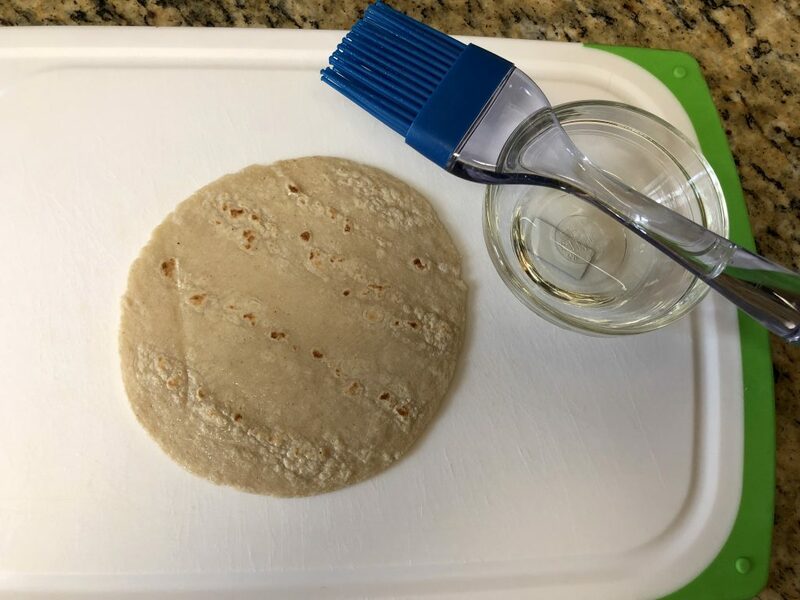 Place the next tortilla directly on top of the first tortilla and brush the top with oil. 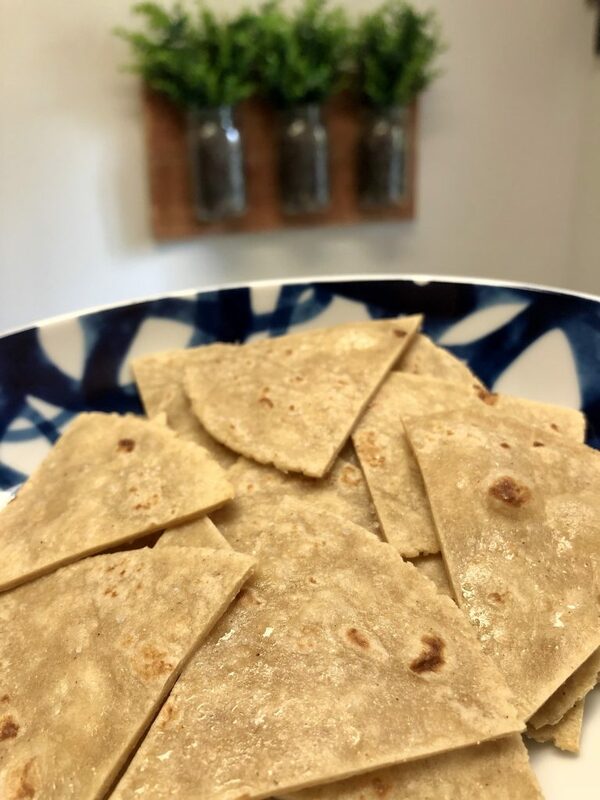 Repeat will all the remaining tortillas. You will have a bit of a tortilla tower! 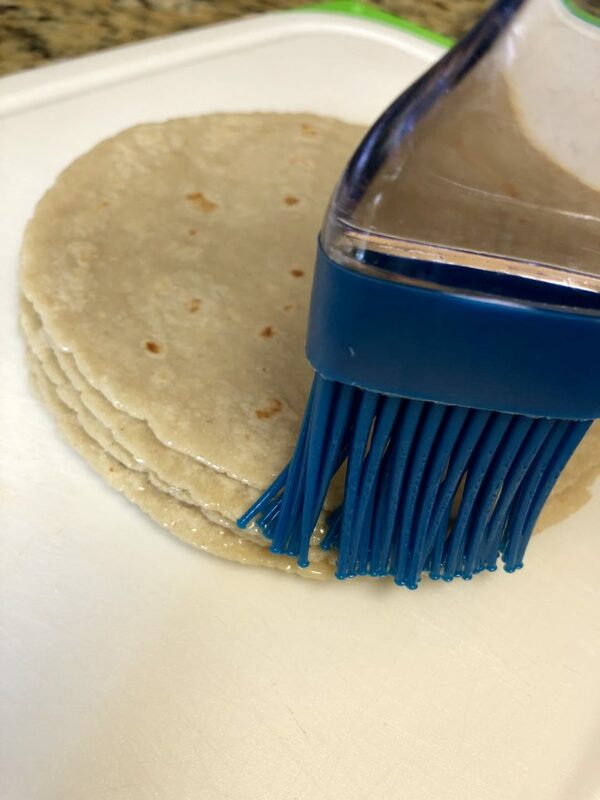 Once the tops of all the tortillas are brushed, brush the sides of the whole stack. Move the wedges onto the prepared baking sheet, slightly spacing the chips to allow for each one to crisp up. Sprinkle with salt. Bake for 10 - 15 minutes or until slightly browning, and starting to crisp. The chips will continue to crisp up as they cool. Store the cooled chips in a ziploc bag at room temperature.